hawtio which is an awesome web console allows you to manage your Java stuff. hawtio has a plugin for managing ActiveMQ brokers. 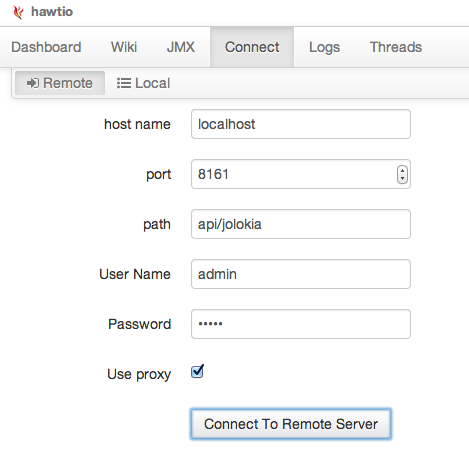 hawtio allows to run in one JVM and connect remotely to other JVMs. This allow you to have dedicated boxes with the management console, and leave it out of your production boxes which runs your ActiveMQ brokers, and other server stuff. It also makes it easier to mange the network topology as people who need web access to the management console only need access to the boxes where the management console is hosted, and not direct access to your production servers. Only the boxes where the management console is hosted needs network connection to the production servers. Anyway what I wanted to talk about in this blog, is how to use the latest hawtio 1.2.2 as a standalone application to connect to remote ActiveMQ brokers. And in ActiveMQ 5.9 hawtio is shipped out of the box. To do this we download the executable hawtio 1.2.2 which you can find on that big button on the getting started page. This starts hawtio on port 8080, though you can specify the port number to use with --port option. For more information see the hawtio getting started page. The username and password is by default admin/admin. Though that can be changed on the ActiveMQ broker, so make sure to use correct login credentials. And I use localhost as hostname because I run everything from the same box. But you can of course enter a DNS or IP name for remote connection. In the upcoming hawtio 1.2.3 release James has been cooking some cool stuff to run hawtio as a desktop app and as a browser extension. A little sneak peak is shown below where you can see hawtio as a app in the Chrome browser. There is a few things to iron out to have hawtio fully working as a desktop app and as browser extension. 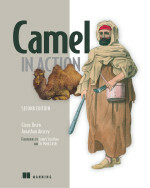 Hi, I have a Camel application running on a remove server. I'd like to monitor the routes using hawt console. Could you explain the steps to achieve this? But again - ask on the hawtio community, as that is the right place to get help.